Sign-up and receive Property Email Alerts of Residential Estates in Atlantic Beach Golf Estate, Melkbosstrand. Within reach of the hub of Cape Town, Atlantic Beach Estate offers a secure and active lifestyle on the doorstep of the popular village of Melkbosstrand. Situated near some of Cape Town's most popular beaches, the contemporary-styled residential villages have spectacular views of Table Mountain in this quintessential Cape golf estate. With the Blouwberg Nature Reserve just a stone's throw away, the Estate boasts an abundance of wildlife, including springbok, tortoises, duiker and a large variety of bird species that meander between the 850 homes. 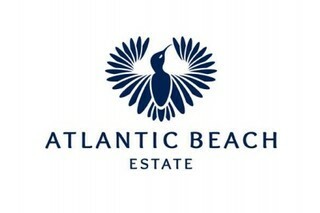 The various villages (in Atlantic Beach Estate) making up the residential Estate have been given names inspired by famous shipwrecks and golf courses from all over the world. They pay homage to both the Estate's seaside location and its fine golf course. As with many estates, the leisure centre is the heart of the community and the recreational activates forge many neighborly friendships. Members and guests either sweat it out on the tennis courts, in the gym or relaxed at the swimming pool (equipped with pergolas and umbrellas). There is also a 'business hub', where young and old alike make use of the internet access and printer to send off urgent documents or finish overdue homework. In order to ensure no pets are lost, residents are offered a subsidized rate for the insertion of a Virbac microchip in their pets; monitoring their whereabouts and making sure they don't stray. In terms of facilities, location and quality of life, few estates rival Atlantic Beach.